Influencers with a strong followership on social media channels were invited to various Canadian regions and filmed while experiencing cities and the great outdoors. 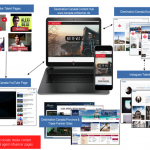 Short videos were produced and distributed by Destination Canada, the influencers and participating tour operators. 13 German key accounts actively supported the campaign. Additionally, well written content from media was uploaded on the hub. Travel interest in Germans for Canada is at its highest in 6 years. As of January 10th, 150,000 hours have been spent on the campaign videos. 10% of the YouTube viewers watched 3 videos; CTR on video 9 x’s higher; 58% of leads generated from content. 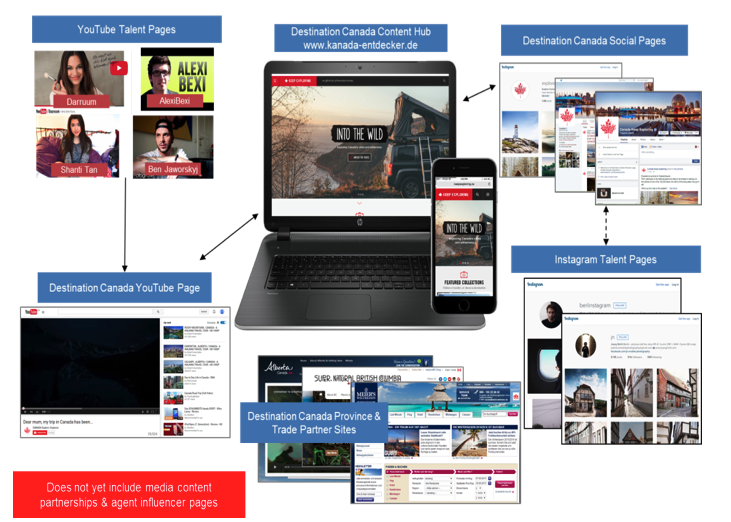 Social engagement: 314,305 Engaged Users, Influencer channels: 1.5 million “likes”, Over 17 million views of our videos, Instagram reach upwards of 3 million followers, a 3% lead generation rate from the website kanada-entdecker.de.